Thanks for your interest in recycling! In Omaha, we use single-stream recycling. This means packer trucks (also called garbage trucks) marked with large yellow recycling signs on the back and sides collect and transport your recyclables to an indoor, semi-automated sorting facility. How do you fit into the picture? It’s all about the green bin. Please place your recyclables in your green bin each week, then set it out next to your trash on your collection day. There are city ordinances that regulate how garbage, yardwaste and recyclables are to be prepared for collection. 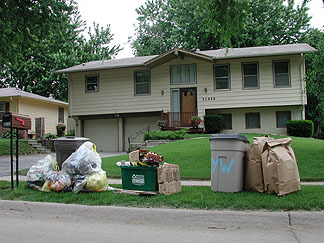 The two sections of the Omaha Municipal Code that relate to solid waste are Chapter 33, ARTICLE II, Division 1, Section 33, Items 21-30 and Chapter 33, ARTICLE II, Division 2, Section 33, Items 41-49. The ordinances also speak to the ownership of material in recycling bins placed at the curb. 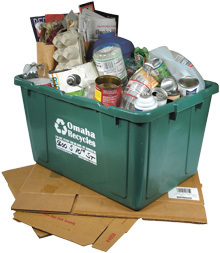 Green recycling bins are available to households within the City of Omaha that receive solid waste collection from the City’s collection contractor. 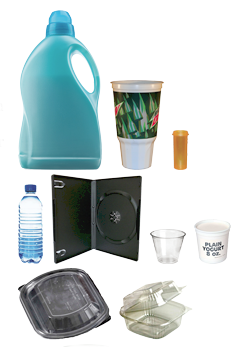 You are able to recycle a number of common household items in this green bin. A list of acceptable items is below. 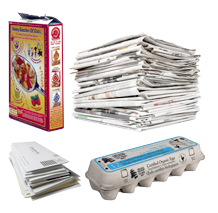 Your recycling is picked up once per week, the same day as garbage and yardwaste is collected. You may pick up your free recycling bin at one of these seven locations. Why did Omaha switch to a single stream recycling? Do you I have to use a green bin to recycle? I'd like to use a larger garbage can. Corrugated Cardboard – PREP: Flatten. Place on ground under bin or fold and stuff multiple boxes into one box and set out next to bin. TIP: Rinse. Place end (lid) of food cans inside can and crimp closed. Labels may stay on. Flattening plastic bottles helps prevent litter. 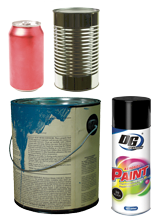 Caps and lids are now OK.
Approved containers include:Water bottles, pop bottles, cooking oil bottles, mouthwash bottles, shampoo bottles, cleaning product bottles, milk jugs, juice bottles, margarine tubs, whipped topping tubs, yogurt containers, sour cream containers, and reusable/disposable food storage containers. 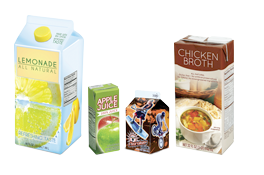 Plastic bottles, clamshell deli containers, snap top containers, microwave meal trays, plastic cups, clear plastic packaging, cookie trays and dvd cases. Glass is not collected from the green recycling bins. Glass is recyclable if you take it to a drop-off site. More information is available about drop-off sites by clicking here. A decal with recycling reminders is available that you can apply to your recycling bin. Call 402-444-4500 to request a decal. 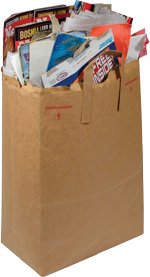 If you choose to participate in using Energy Bags, place them in the bottom of the green bin with heavier materials on top to prevent them from blowing out of the open bin. 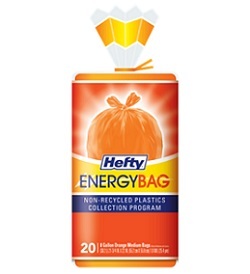 Additional information on obtaining and proper use of the Energy Bag may be found by clicking here.